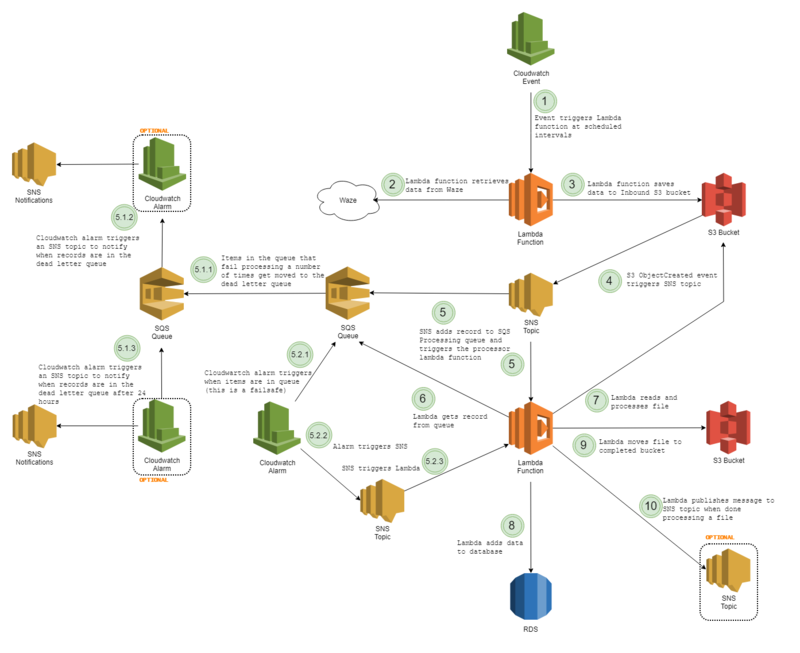 Using AWS, Louisville’s Innovation department and other cities created an open-source, cloud-based system called Waze WARP (Waze Analytics Relational-database Platform) in November 2017 for historic and real-time querying, analysis, API hooks, mapping, and integrations. Instead of paying $50,000 for a multi-week traffic study to see if your road configuration changes had an impact, you can use WARP at no cost for instant, unlimited results. To do this analysis, the city uses Power BI templates, and any city using WARP can connect these to their data. This now allows Louisville to do on-demand traffic studies as many times as they want on real-time data allowing officials to make data-driven decisions that positively impact the citizen. Based on the success of Waze WARP, Louisville founded the Open Government Coalition (OGC), a network of government agencies working on open source projects together. The initiative is a framework for governments (city, state, and federal) to pool their technical talents and collaborate on projects with reproducible, impactful results, saving time and money. The first project of OCG was making WARP open for other cities to leverage. WARP now gives 900+ government Waze CCP partners access to a free platform that uses real-time and historic traffic data to improve mobility, pedestrian and bike safety, road conditions, and emergency response. Louisville provides all the tools, codes, instructions, and infrastructure to make use of this valuable data for the first time, all for no cost, and the product is built collaboratively with other governments. Now, governments that previously spent hundreds of thousands of development dollars are migrating to the free Waze WARP software platform, or are not spending that money in the first place. Since the success of WARP, the OGC has embarked on additional projects to spread open source innovation across cities. Those projects include a nationwide digital inclusion crowd-sourced broadband map called SpeedUp USA, an open data resident notification system using IFTTT, and a pavement quality index analyzer using cameras called SQUID (Street QUality IDentification). Each project will align with a unique government manager, a promoter, a sponsor, and sustaining funders, and government agencies collaborate on the development of the roadmap and use cases. Learn more about AWS for state and local governments.